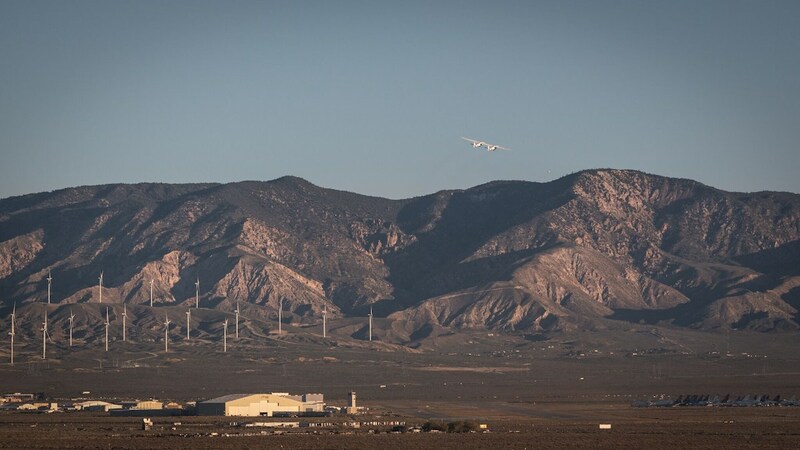 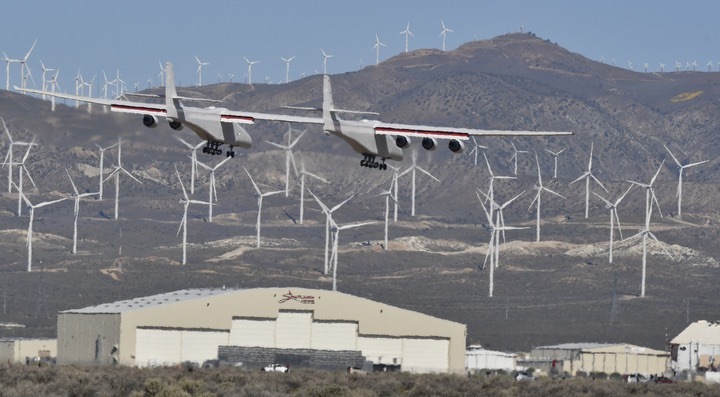 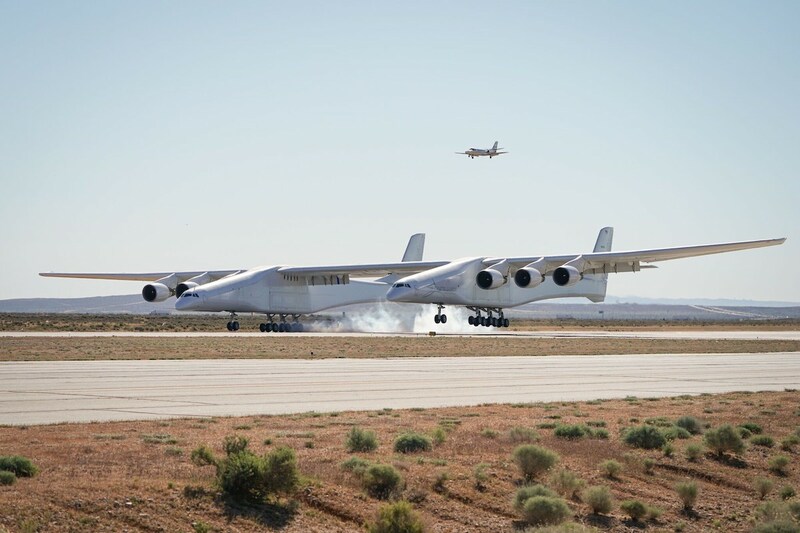 Stratolaunch’s rocket carrier jet, the largest aircraft in the world by wing span, took off Saturday morning from the Mojave Air and Space Port in California for its first test flight. 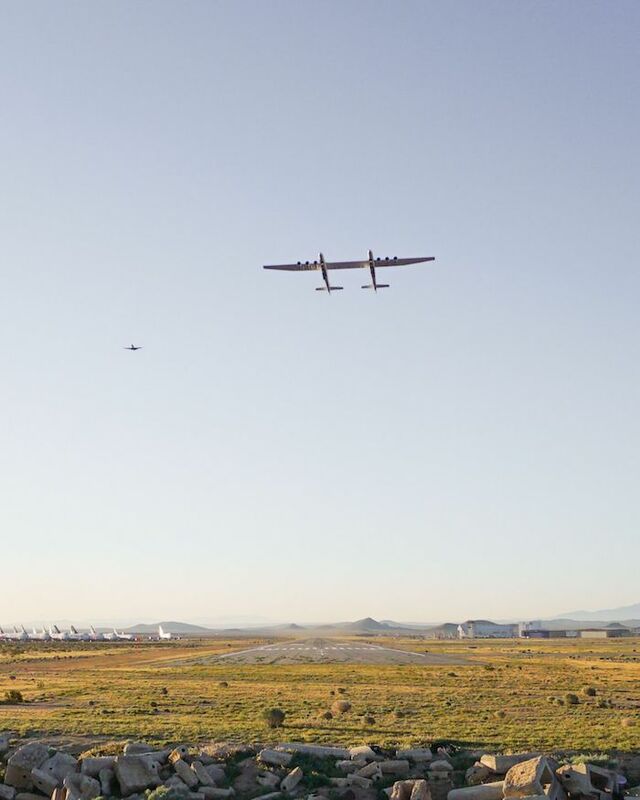 The twin-fuselage airplane took off at 6:58 a.m. PDT (9:58 a.m. EDT; 1358 GMT) Saturday and flew for nearly two-and-a-half hours, reaching a top speed of 189 mph (304 kilometers per hour) and a maximum altitude of roughly 17,000 feet (5,200 meters). 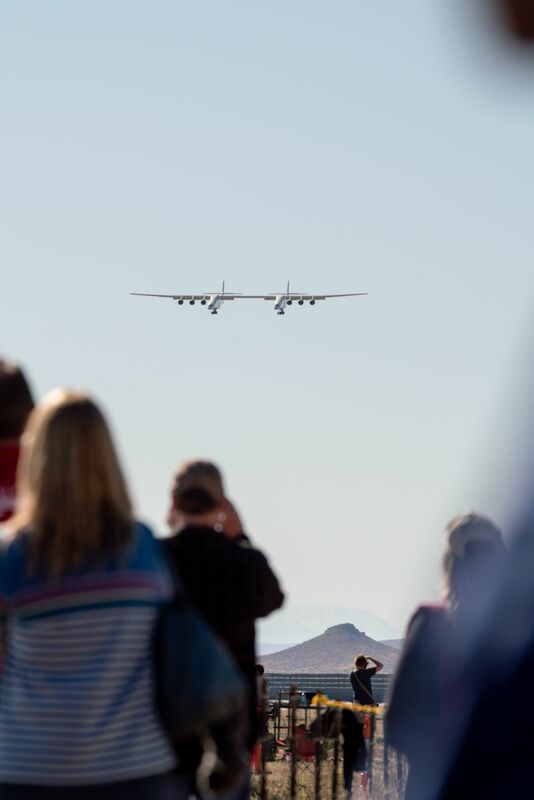 The aircraft returned to Mojave for landing at 9:27 a.m. PDT (12:27 p.m. EDT; 1627 GMT). 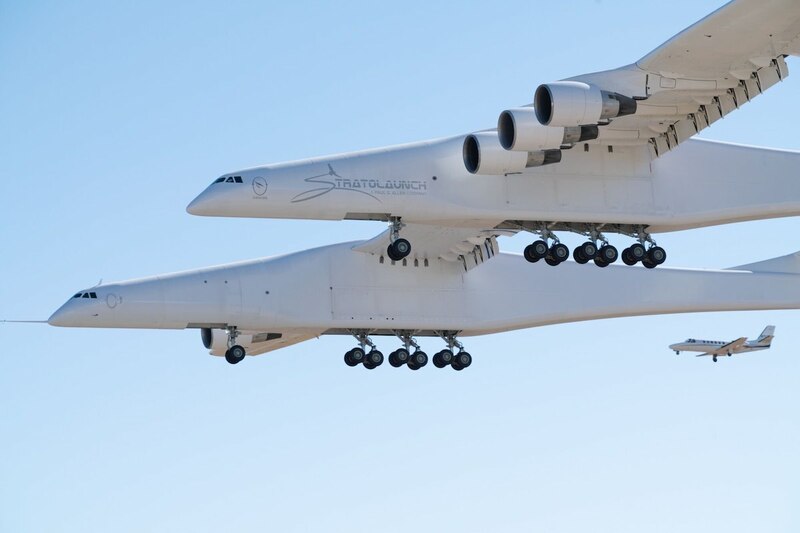 Stratolaunch’s airplane has a wing span of 385 feet, or 117 meters, breaking the record for the widest wing span on an aircraft set by the Hughes’ propeller-driven H-4 Hercules, or “Spruce Goose,” flying boat, which made a single brief test flight in 1947. 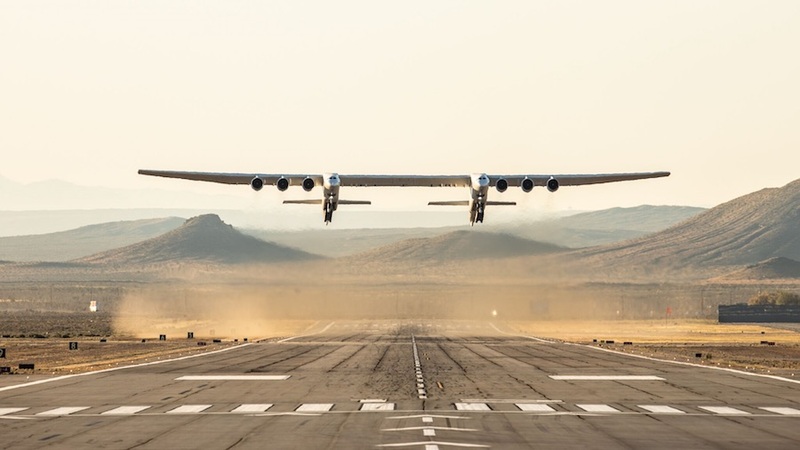 It also set the record for the most total thrust on an aircraft, according to Scaled Composites, the plane’s designer and manufacturer at Mojave. 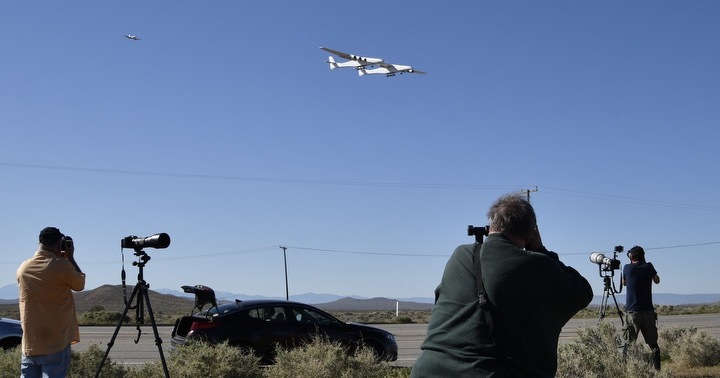 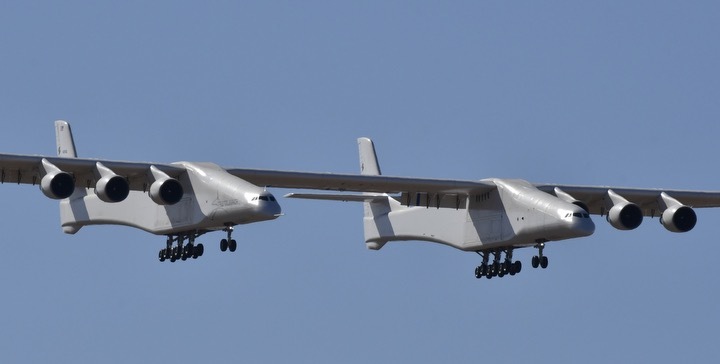 The airplane is designated Scaled Model 351, and it’s powered by six Boeing 747 engines and measures 238 feet (73 meters) long and has a maximum takeoff weight of 650 tons (590 metric tons), according to information on Stratolaunch’s website. 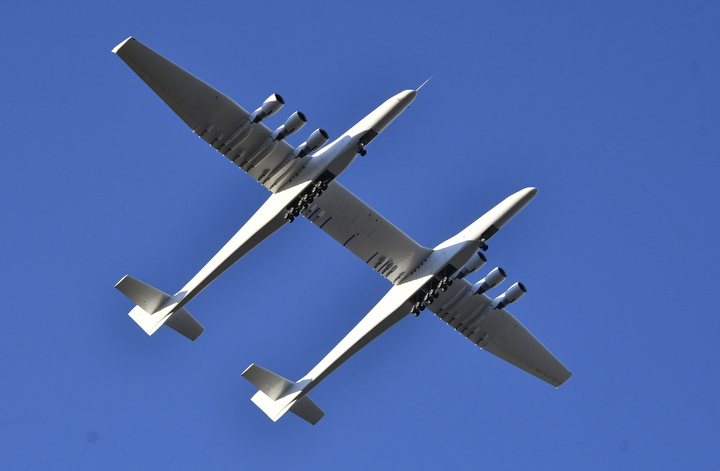 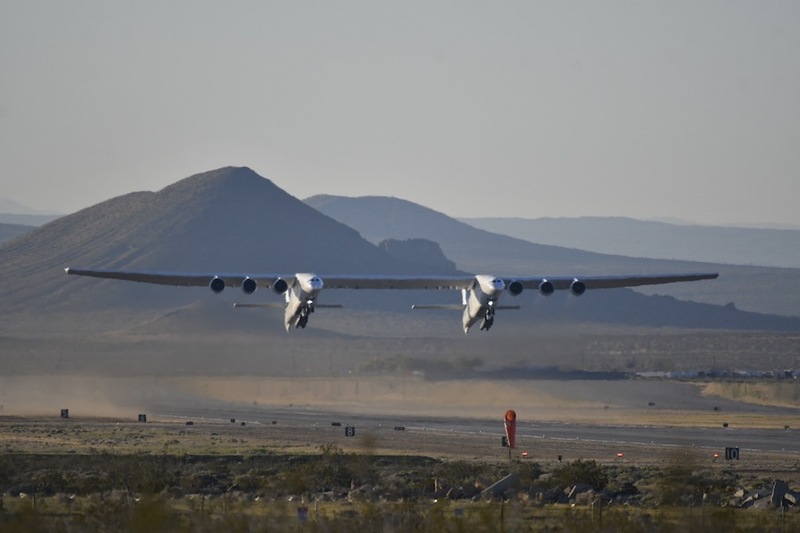 Read our full story on Saturday’s flight for details on Stratolaunch’s plans. 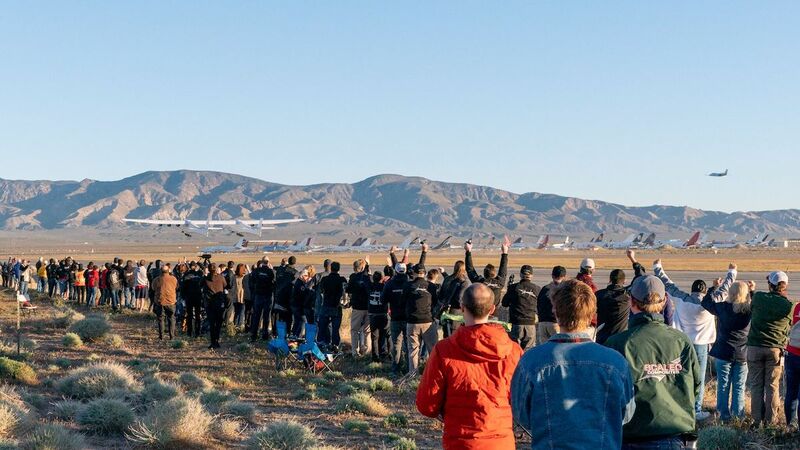 Photos of the aircraft’s flight are posted below.